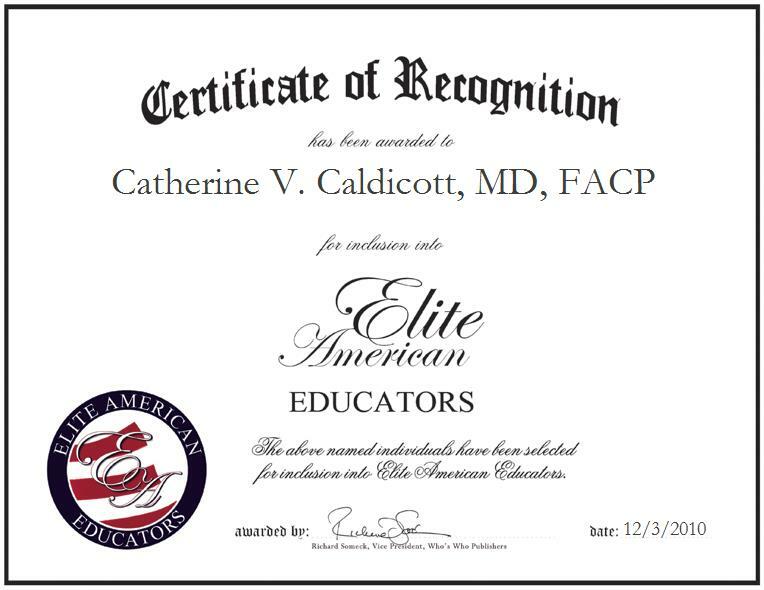 Cazenovia, New York | December 03, 2010 | Catherine V. Caldicott, MD, FACP, Associate Professor at SUNY Upstate Medical University’s Center for Bioethics and Humanities, has been recognized by Elite American Educators for demonstrating dedication, leadership, and excellence in Bioethics education. With nearly two decades of medical experience, Dr. Caldicott is a respected authority on moral development among physicians. She lends her talents to SUNY Upstate Medical University, where she conducts research on bio-morality to assess the impact of teaching ethics to medical students. Additionally, she teaches classes in bioethics, manages committee work and other episodic work, and consults on clinical situations, ethics of patients, families, nurses and students, and university hospital ethics. Dr. Caldicott considers watching her students flourish and seeing as they open their minds to learning as the greatest reward of her career. Attributing her hard work, persistence, and excellent colleagues as factors in her success, Dr. Caldicott enjoys the importance and value of her profession. For others seeking success, Dr. Caldicott advises to interact with your colleagues, always keep an open mind, and trust your gut. A former Opera Singer for 10-12 years, Dr. Caldicott received her MD in 1991 from Dartmouth Medical School and completed post-MD training at the Robert Wood Johnson Foundation. She also earned a Bachelor’s Degree in English Literature in 1978 from Princeton University. 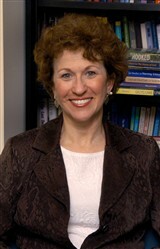 Her professional affiliations include the American Society for Bioethics and Humanities, the American Educational Research Association, the Association of American Medical Colleges, the American College of Physicians, the Society of General Internal Medicine, and the Association for Medical Education. Dr. Caldicott is a blood and platelet donor and volunteers regularly in her local hospital. She aspires to become a tenured associate professor.